On Monday, February 3rd there was a heavy Snow in our region. We are in downtown Newark and snow was coming down quite heavy. 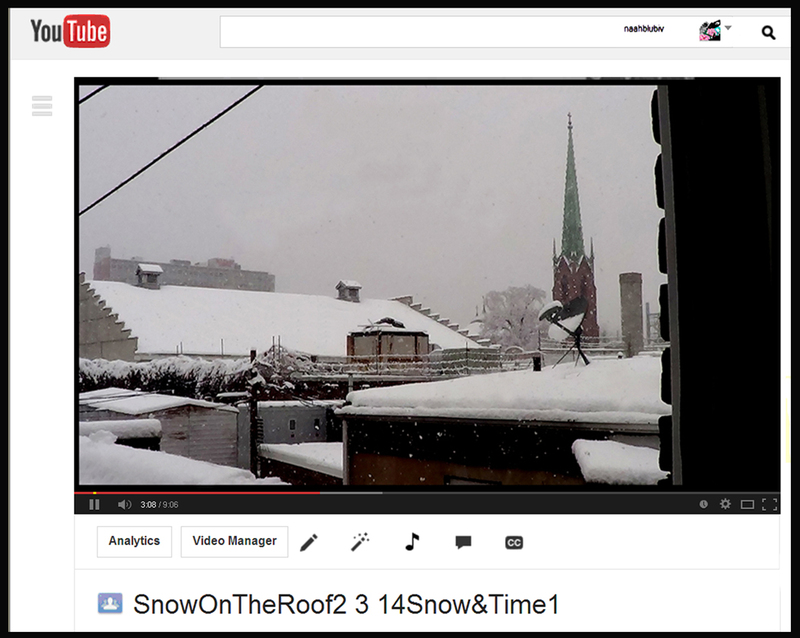 Our worry was the accumulation of snow on our second floor flat roof. 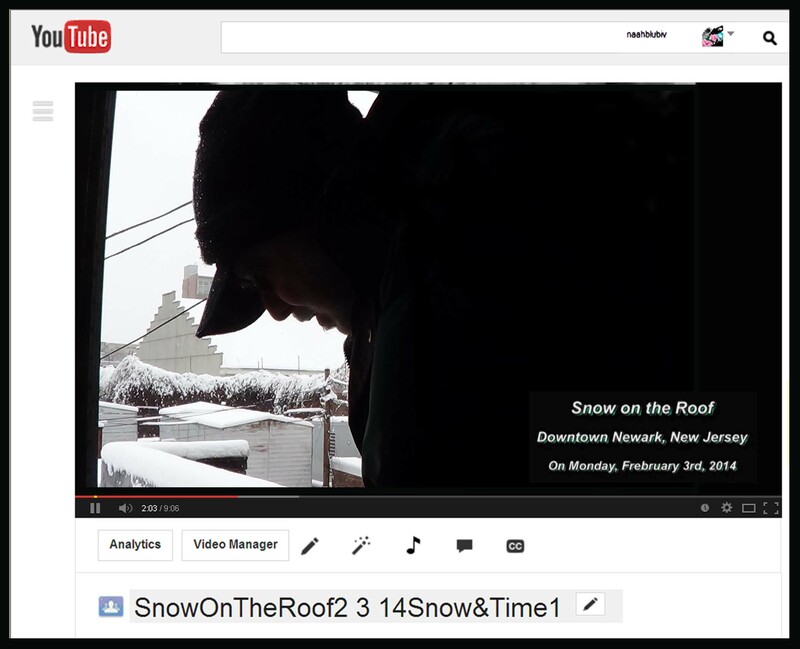 John went on the roof and started to remove snow, if not we might have water seeping in and causing a bad leak into the apartment below. 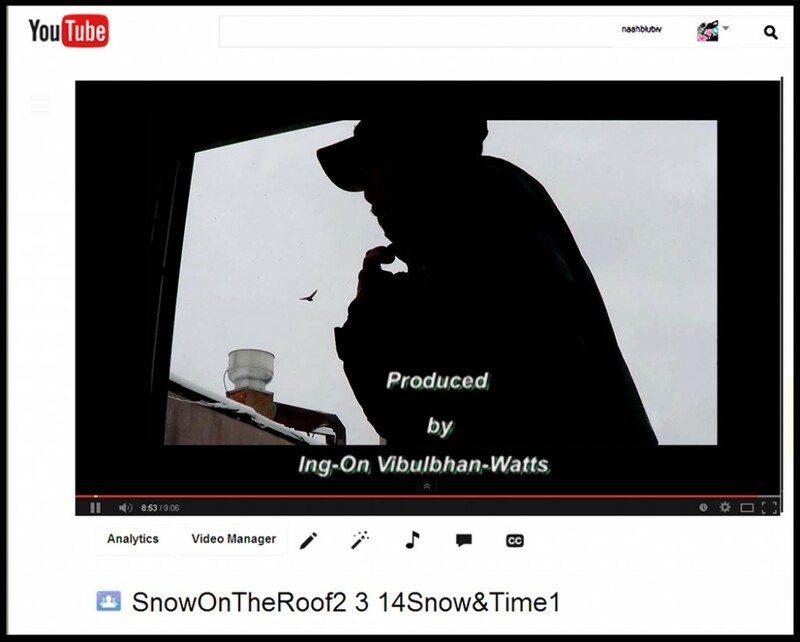 I took advantage to record the video of John working hard and seeing the white snow blanket the roofs of the buildings nearby. There was also a beautiful view of the clock tower of Rutgers University Law School building, and a large Rutgers Newark logo on top of one of the tall Rutgers University buildings. The view of St. Patrick’s Cathedral stands tall reaching to the sky with a cross at the apex. I enjoyed taking the video and photographs but poor John was working hard. 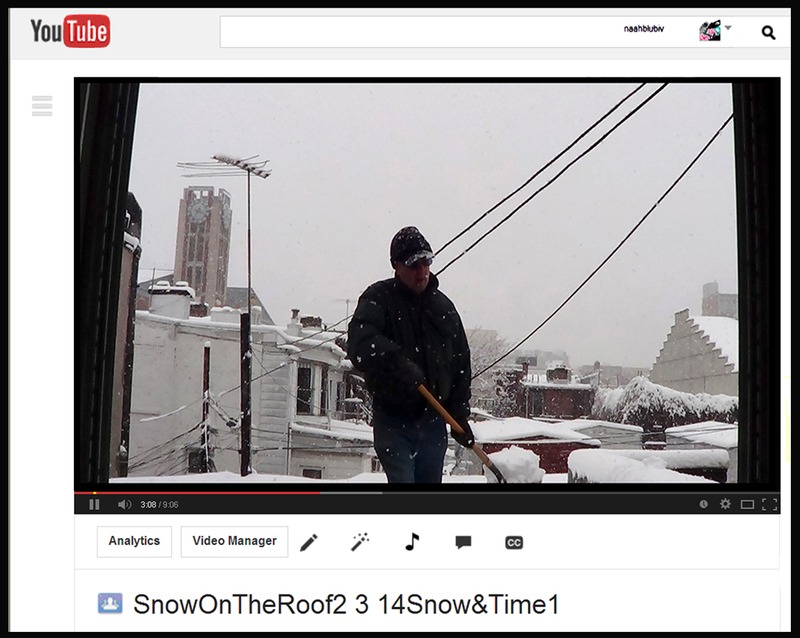 Snow kept coming down harder, which was good for my video but John had to work harder to get it done before sunset. 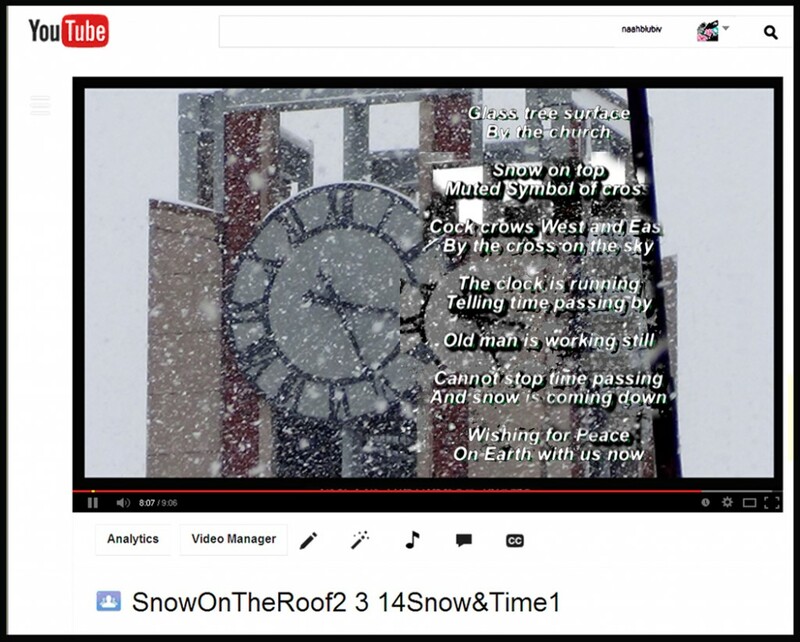 As I moved my camcorder to the clock tower showing the time passing, the clock was ticking. It waited for no one for if we wait all that valuable time is lost. Fighting among people and wars all over the world are wasting essential time, for before we realize it people will become old and die. Today the news announced that Sid Caesar, the famous entertainer died. Shirley Temple the famous young Hollywood star died yesterday. Amiri Baraka died recently. Nelson Mandela died late last year. Many more famous, and not famous people, will leave this earth sooner or later. So before we go we should spend time wisely, because the clock keeps ticking and waits for no man.